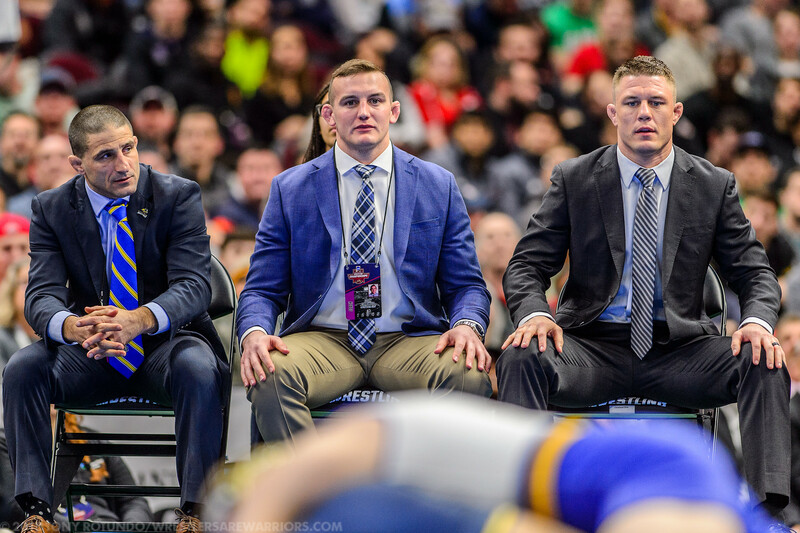 After posting back-to-back program best seasons, South Dakota State head coach Chris Bono is moving onto the next challenge in his career as he has accepted the head coach position for Wisconsin. 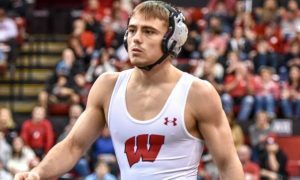 Bono replaces long-term fixture Barry Davis for the Badgers and will be taking top assistant Jon Reader with him to Madison sources close to the program told TOM on Saturday. After six seasons at the helm of the Jackrabbits, Bono has built the program from the bottom tier into one of the best in the Big 12. 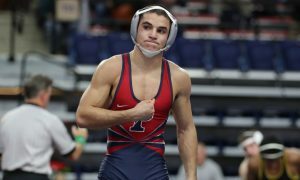 In his first four seasons, Bono qualified 12 wrestlers for the NCAA championships but led the team to new heights in 2016 and 2017 when they qualified five wrestlers each year. Even more noteworthy was the program’s first All-Americans, in 2017, since they moved to the Division I, Seth Gross and David Kocer, which led to a 16th place finish in the team standings. Not to be outdone, Bono sent seven Jackrabbits to the 2018 NCAA championships with three of his wrestlers reaching the podium and Seth Gross winning SDSU’s first-ever Division I national title. As a team, SDSU finished in 12th place, ahead of the likes of Oklahoma State. A wizard on social media, Bono and the Jackrabbit program were routinely recognized as having one of the nation’s top online presences. Which as evident in the program’s success, has been a boon. With Bono’s skills in the room and online, he will attempt a different sort of rebuild, this time trying to resurrect a Big Ten program. Prior to Bono taking the reigns, the Badgers were led by Iowa native Barry Davis, who was the team’s head coach for the last 25 seasons. During that time Davis crowned eight Big Ten champions and three NCAA champions. His all-time high was a fourth-place team finish in 2010 which led to him being named the NWCA’s head coach of the year. 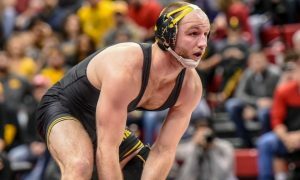 Bono was a standout for the Iowa State Cyclones earning two All-American honors including a national title as a senior. He was also a three-time World Team member in freestyle, though he did not wrestle at the 2002 World Championships despite qualifying due to the United States not competing that year.